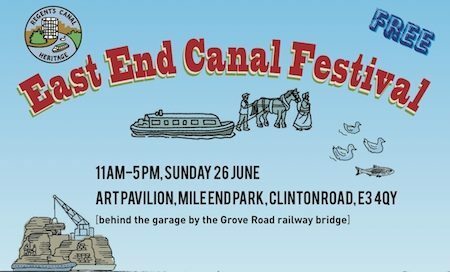 Canal Festival 26th June. Can you help? Preparations for the East End Canal Festival are well underway. New stuff is being added to the programme all the time. The organisers would like people to put the word around. 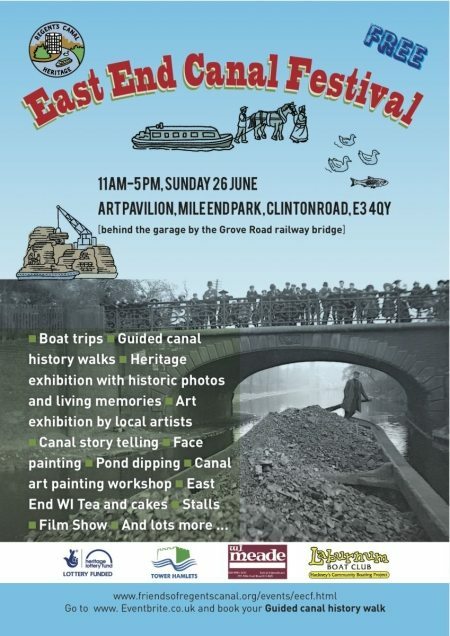 By email, post on FB, tweet @eecanalfest (now almost 1000 followers!). Flyers are available if you can distribute them, get them up in shop windows etc – let Carolyn(see below) know if you’d like some. There’s a workshop this Friday June 3rd from 7pm at Create Space, 29 Old Ford Road, to make big fabric fish to go on outside decorations. Everybody welcome, there may even by wine! More volunteers are needed for the day of the Festival, and the afternoon before (25th) from 2-6, to help set up. Even if you can only commit to an hour or two, please get in touch. And they’re still looking for a sign writer. Previous Post:Is time being called an another local pub?